Description Warm temperatures, reminiscent of summer. Brown-red blooms in Carr Inlet and Budd Inlet. Macro-algae aggregations in Central Sound. Green bloom NE of Bainbridge Island. 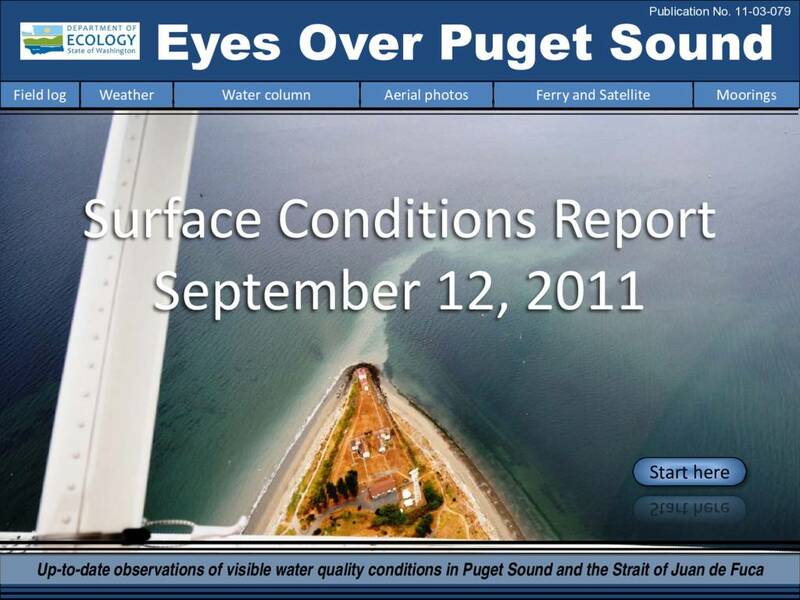 High surface fluorescence throughout northern Central Sound; highest values east of Port Madison. Oil spill in the South Sound.